This is the start of many blog posts around the recent Purity 5.0 release. I figured I would start with one that doesn’t require an upgrade of Purity to even get! Alongside Purity 5.0, we released the 3.0 version of theFlashArray plugin for the vSphere Web Client. This is bundled in Purity 5.0, so if you upgrade any one of your FlashArrays you can then use it to upgrade the plugin in one or all of your vCenters. Let me be clear though–if you want to use VVols or ActiveCluster you need Purity 5.0. 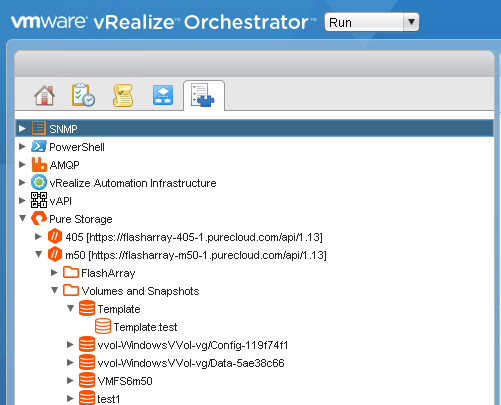 Without Purity 5.0, you can use the 3.0 plugin of course, but you can only use non-VVol or non-ActiveCluster features. In the recent release of the Purity Operating Environment on the FlashArray we deprecated TLS 1.0 support due to the ever growing list of vulnerabilities in it. Communication will be restricted to TLS 1.1 and later. Unfortunately, this affects some plugins/integrations. This is not an exhaustive list, but related to the ones VMware customers probably touch the most. If something is not listed ping the relevant support organization for more information. 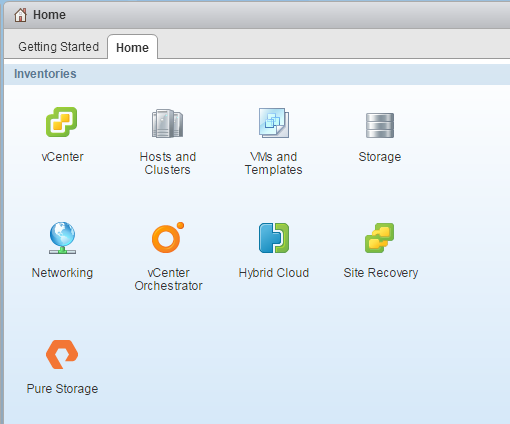 I have done a few posts on here that involve the Pure Storage Plugin for the vSphere Web Client (here and here) since I joined. Well here is another. We just released a new version of the Web Client Plugin (I am going to refer to it as WCP for the rest of this post because I am a lazy typist). We bundle the WCP into Purity and therefore the WCP is installed, updated and uninstalled from our GUI/CLI to vCenter (yes we do also offer a mechanism to update it outside of upgrading Purity itself). Our latest release of Purity, 4.0.12, includes WCP version 1.1.13–while there is no new functionality there are two important fixes. Ah access controls…always popular–who doesn’t want everyone to be admins?! Well…um…admins don’t! In this post I am going to run through integrating Active Directory with the Pure Storage FlashArray. Then talk about how it works with the vSphere Web Client Plugin because I would be ashamed if I didn’t at least mention VMware once in a post. One of the many VMware integration pieces that I have been impressed with since I’ve joined Pure Storage was the vSphere Web Client Plugin. While not only being one of the first storage vendor plugins released for the Web Client but also one of the simplest ones that I have used.